AnonD-443596, 06 Oct 2015hi guys ! today I lost my Xperia in Bangalore Local Bus. 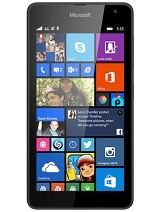 I planning to buy Nokia Lumia 730,... moreThis device is Definitely buy, I have been since 3rd day of launching (about 1 year), no problems yet, better than 2 gb ram devices of Android. Just make sure you are switching from android to windows, u hv to get used to it first. AnonD-438830, 07 Oct 2015Plz suggest me a good SMS sender app without way2smsHello Brother, you can use 160by2 for sending sms. It is the best alternative to Way2sms. sathish, 02 Feb 2015hi frnds...i recently bought this phone...but i cant set my needed song as ringtone.......plz ... moreDownload a ringtone maker in the store and use it to edit any song of your choice in your phone. It's quite easy. 950 and 950xl has Windows Hello feature with iris scanner to unlock your phone.. iris scanner scan your eye retina to unlock phone and iris scanner is more faster and secure than iPhone fingerprint scanner..
Continuum dock is small device which converts your windows phone into desktop.. Means you can connect any screen, mouse n keyboard with your phone and use as your computer on bigger screen. Another bigger news is Official Universal Facebook, messenger, instagram and alot more apps coming to W10 which works on all windows platform (Desktop, tablets, phone, xbox )..
1. "NO HANGING" problem, which is generally most popular issues while purchasing any mobile. 2. Carl zeiss lens-one of the superior quality lens, offers more pellucid image and video(1080 p) with natural image color. 3. Best and clear display even in sunlight. 5. Fast processing with multiple window/application running. So all i would like to say that this windows phone needs no arguments and one can easily trust 100% over its functionality..
Nokia Lumia 730 Dual SIM is looking very great but apparently doesn't have Google-Play store, Can anyone tell me if it does or not? SOME, 06 Oct 2015how to transfer files between windows phone through shareit, please help.Just connect to other persons Wi-Fi network then after connecting to it share anything u want and FYI j van share everything unless its an app !! U cant share apps. !!!! today I lost my Xperia in Bangalore Local Bus. 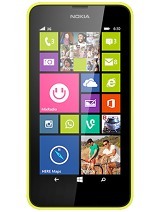 I planning to buy Nokia Lumia 730, It it good or not. Nokia 730 best mobile.... It's royal look. 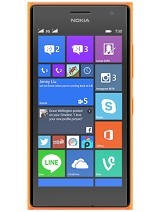 I love &#10084; Lumia 730.
how to transfer files between windows phone through shareit, please help. 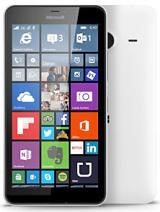 If leaks are correct then guys Lumia 750 and L750 XL coming very soon.. in Mid December or in early january..
Tommorow 6th oct. is biggest day for Microsoft and all Lumia and Windows lovers.. Microsofts biggest event in New York for launching w10 devices..
just stay tuned and enjoy this epic microsft windows 10 devices event..
Harsh, 05 Oct 2015in lumia 730; OTG is supported ot not..?OTG support is coming in W10M build.. its confirmed now..
AnonD-100814, 04 Oct 2015Yes, Lumia 730 definitely getting W10M update and available anytime in next three months.Looking at record and history, new flagship coming with new OS & getting market place after 1.5-2 months and old devices follow to get new OS thereby. So Wp10 coming in January 2016 for L730. 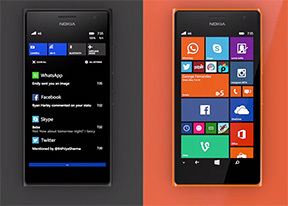 in lumia 730; OTG is supported ot not..?